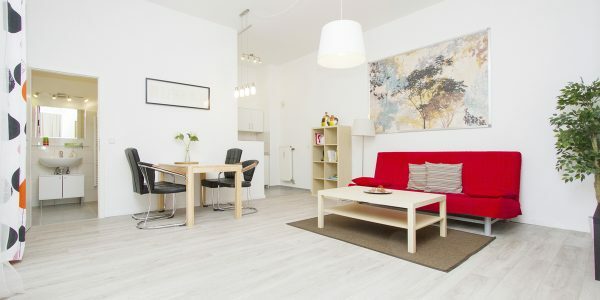 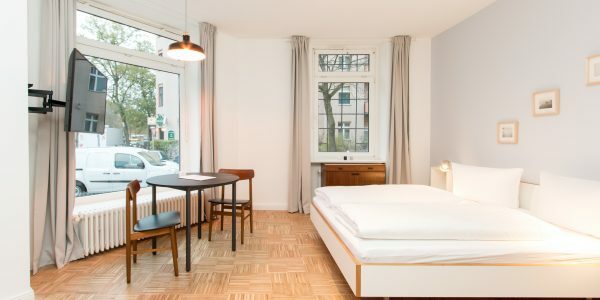 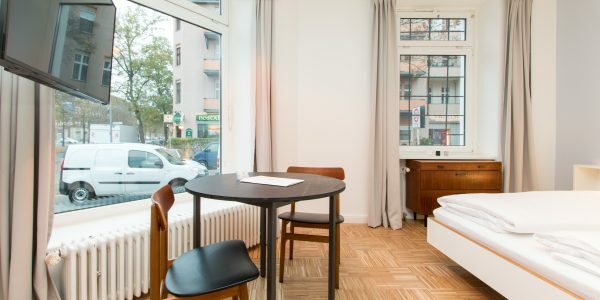 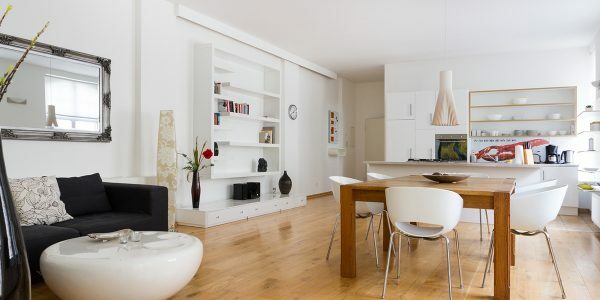 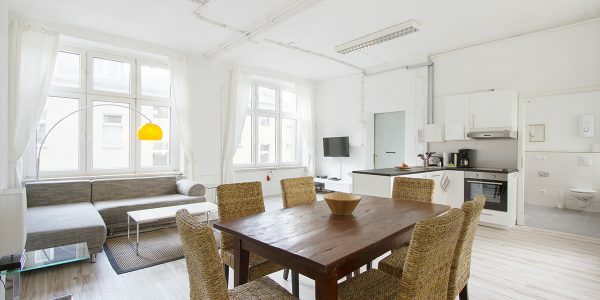 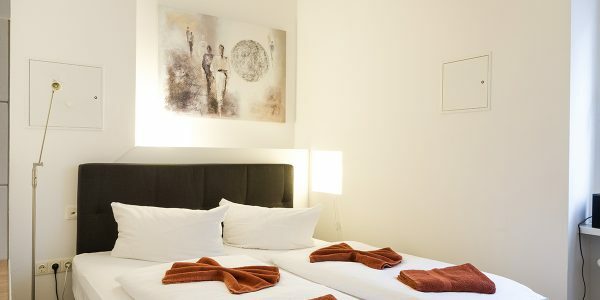 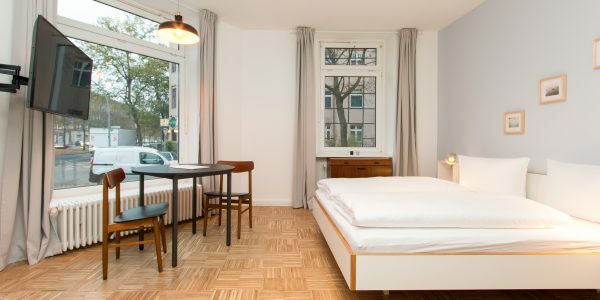 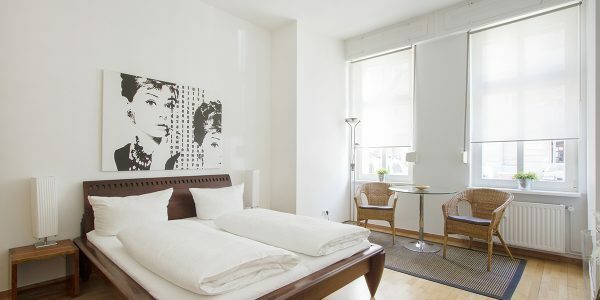 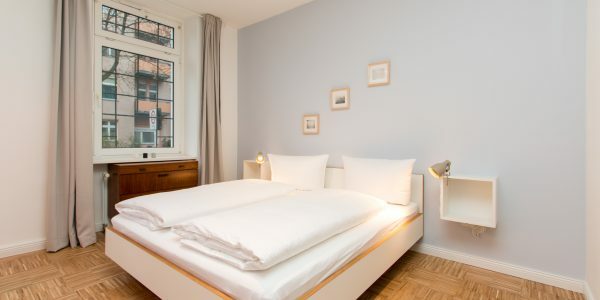 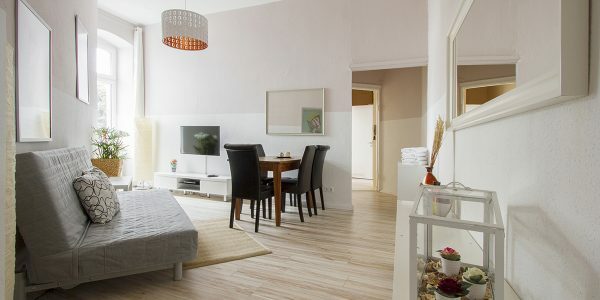 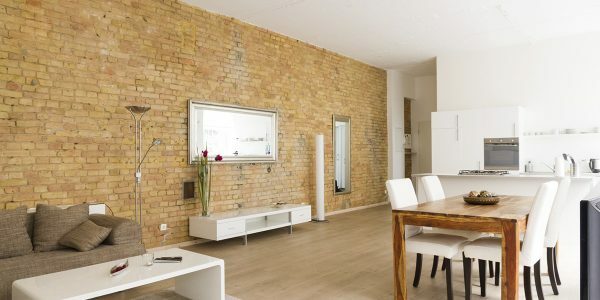 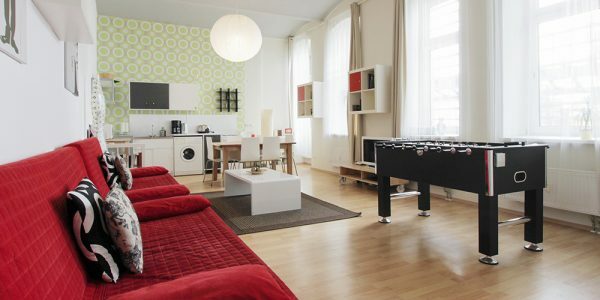 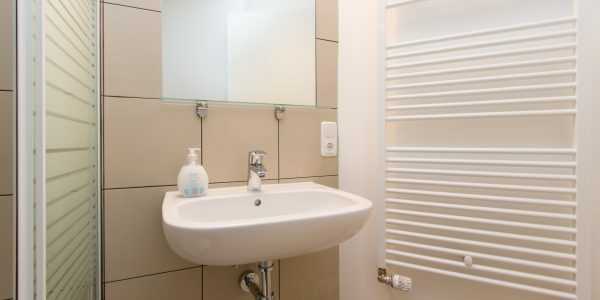 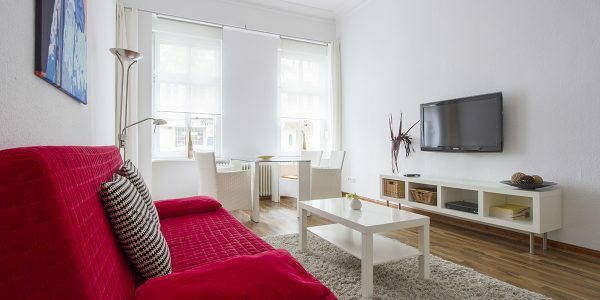 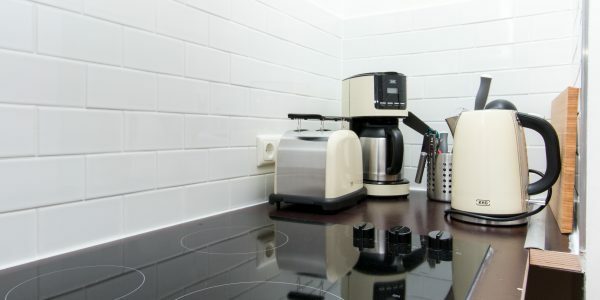 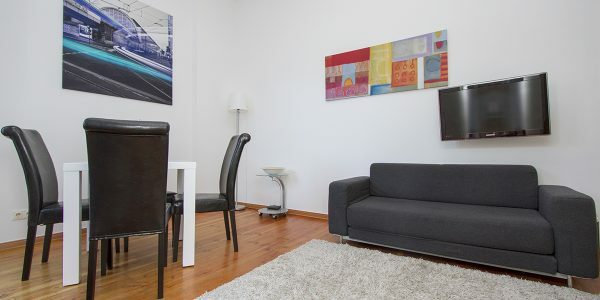 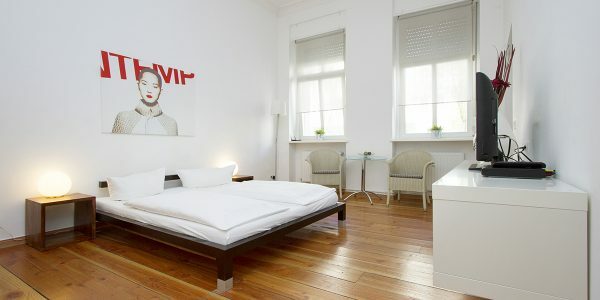 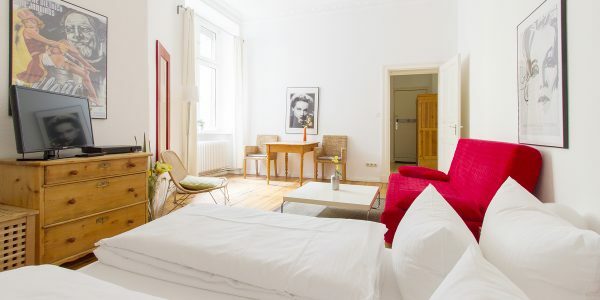 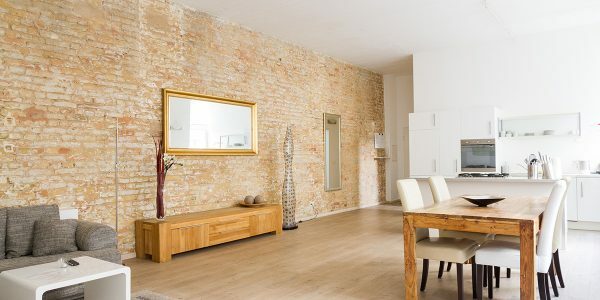 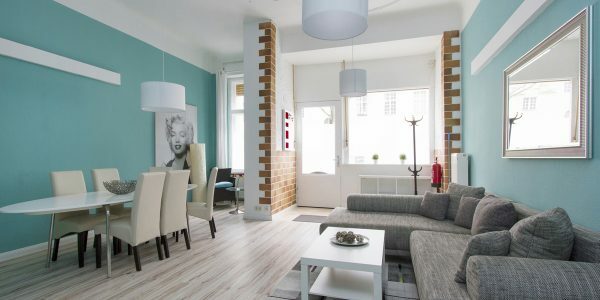 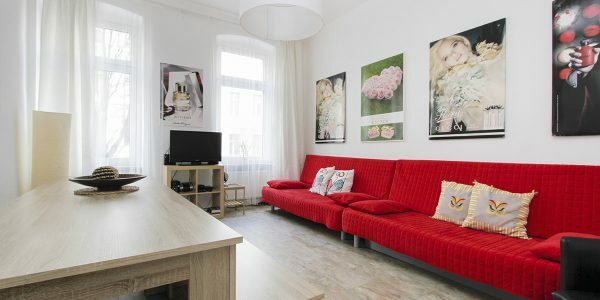 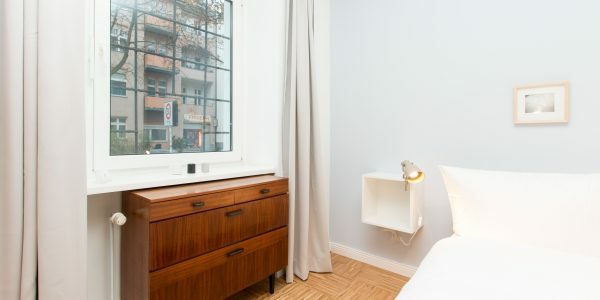 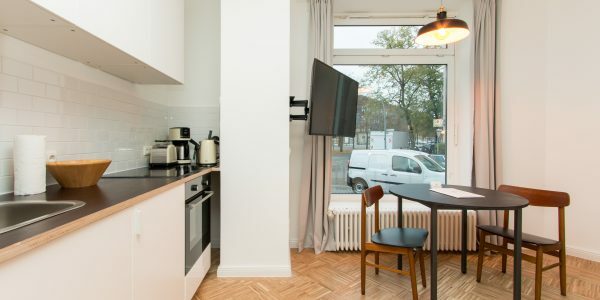 This new studio apartment is located in district Wedding (subdistrict Reinickendorf in north of Wedding) and offers everything you need during your cozy and adventurous stay in Berlin. 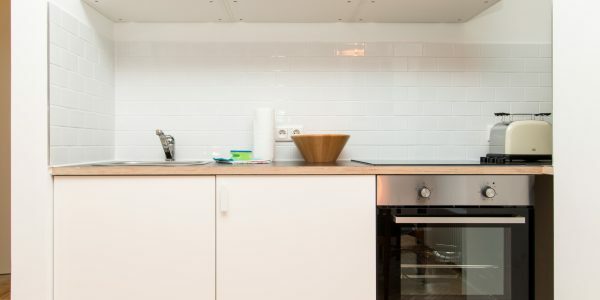 Our designer arranged a stylish 35 square meter apartment, including a full-equipped kitchen and a shower with a rain-forest-shower. 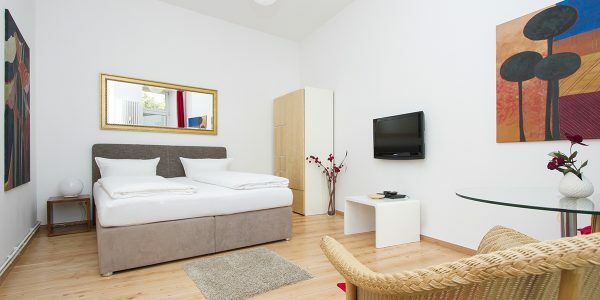 The Studio offers a queen size bed and a dining area for two persons, a flatscreen television and WIFI. 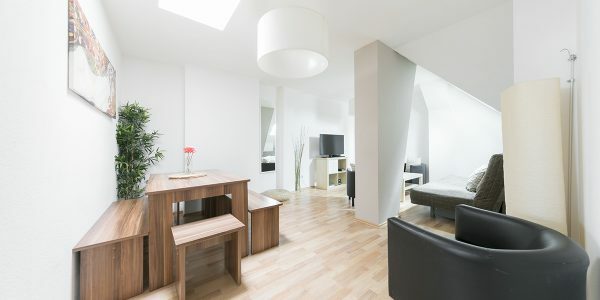 It is based on ground floor with bright windows which can be blinded with tight curtains. 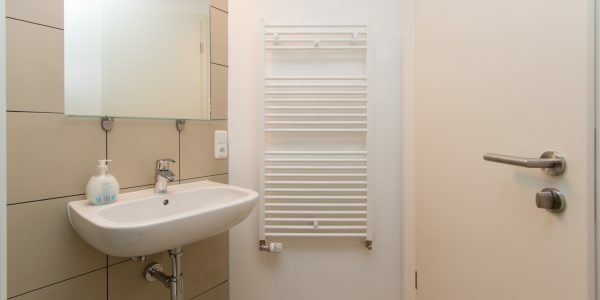 We provide towels and linen and a hair dryer and an iron, too! 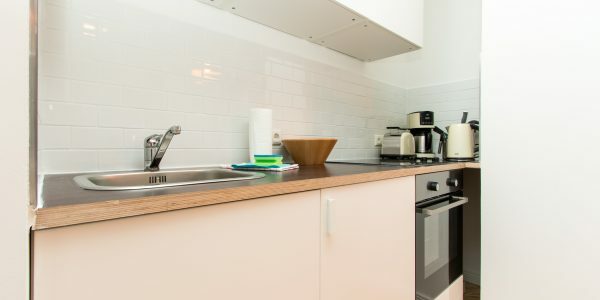 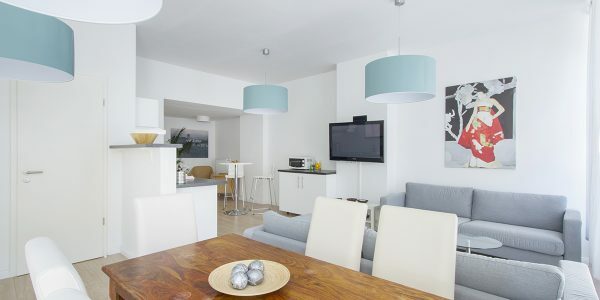 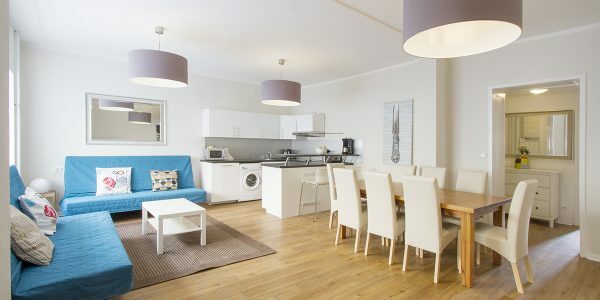 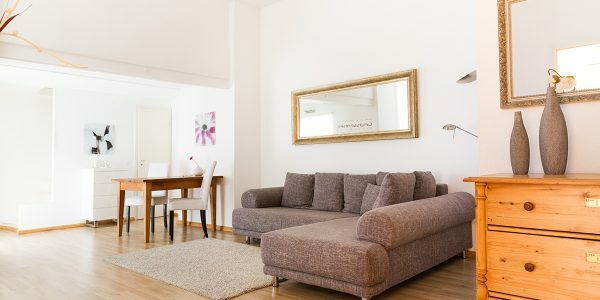 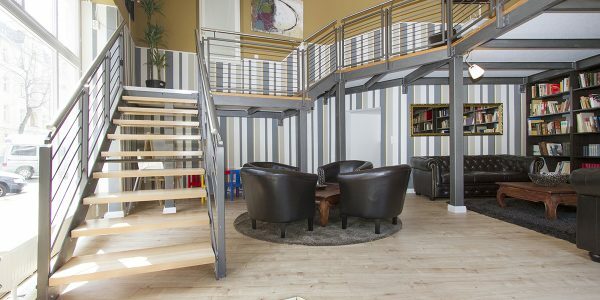 Our apartments are cleaned professionally and a baby cot comes for free – simply ask us after your booking. 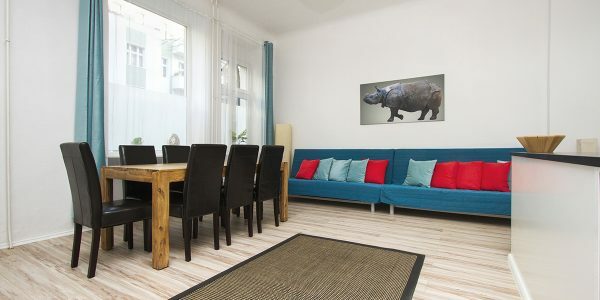 The subdistrict Reinickendorf belongs to district Wedding and has several parks and waters, and its southern part where the apartment is located has many similarities in development with the adjacent district Wedding. 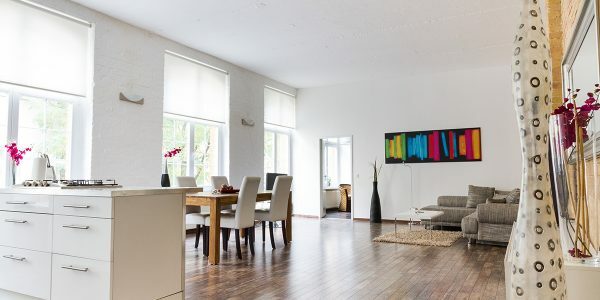 In addition, between 1929 and 1931 Reinickendorf built a settlement called White City – a UNESCO world culture heritage of Berlin Modernism Housing Estates since 2008. 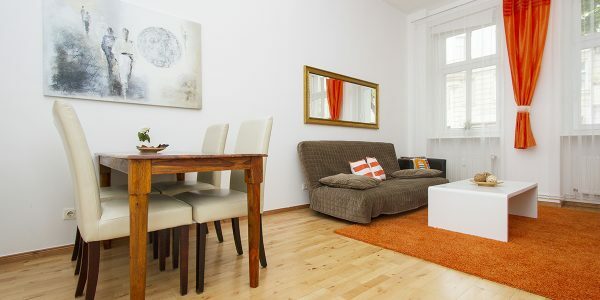 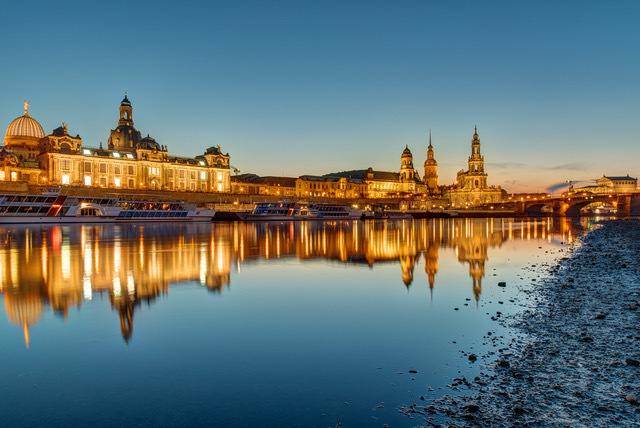 To get into city center you will need about 30 minutes by bus and train and airport TXL is 20 minutes away. 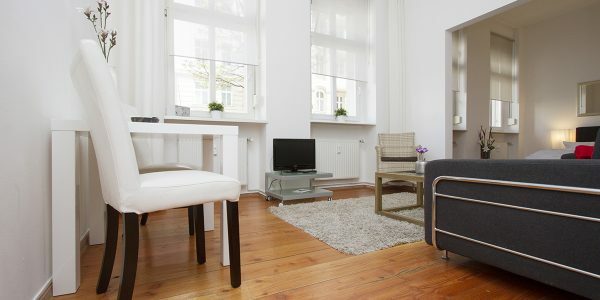 A bus line is in front of the house. 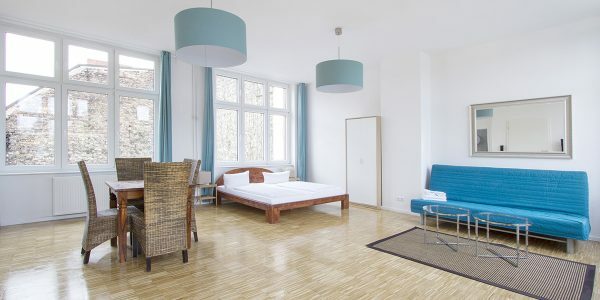 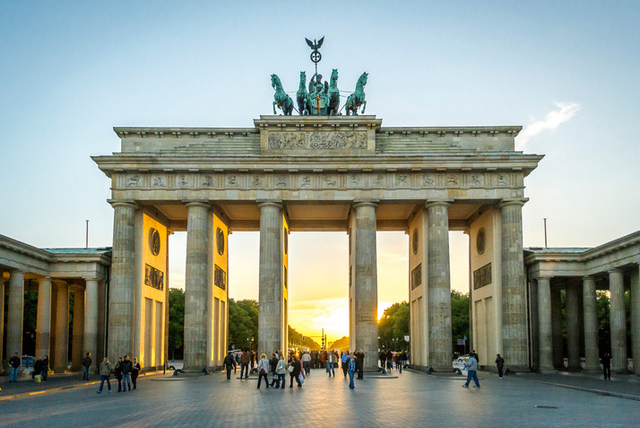 To Berlin city train ring line station Wedding it is a 15 minute tour by bus. 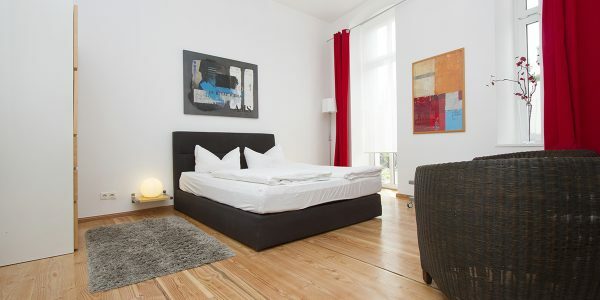 From there the subway directs to city center Friedrichstrasse in ten minutes.